Through the years, the country’s top food corporation, Jollibee, has made an impression on millions of Filipinos with its award-winning TVCs. From catchy taglines and punchlines to sticky jingles, we find ourselves affected by the company’s creative efforts. This 2019, Jollibee did it again after last year’s successful execution. Just a few days ago, Jollibee released “Choice,” its first installment of the Kwentong Jollibee Valentine series. The short film that reminds us to have faith in love has already raked in more than 2 million views on Facebook as of yesterday and more than a million on Youtube. 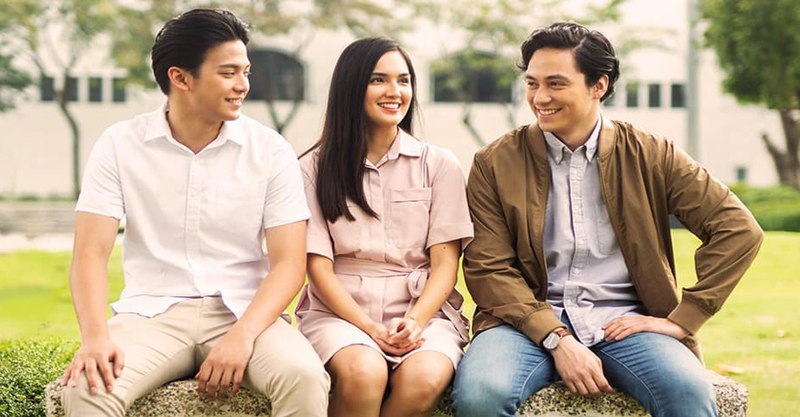 It stars GMA Artist Center‘s Reese Tuazon and Vince Vandorpe and Star Magic‘s Karl Gabriel. “Choice” revolves around the story of Ann (Tuazon), a young woman who is torn between two men in her life. Sharing intimate moments with her long-time best friend Paul (Gabriel), she also begins to find comfort in a new companion—Jay (Vandorpe), a co-worker who inspire her to discover a different side of herself. The episode directed by Ianco dela Cruz concludes with Ann making a defining choice, looking to the past with gratitude and embracing the hope for love.